Professional Drain Cleaning In Canton MI - Associated Plumbing & Sewer Service, Inc.
Associated Plumbing & Sewer Service, Inc. Is Your Best Choice For Drain Cleaning In Your Area! 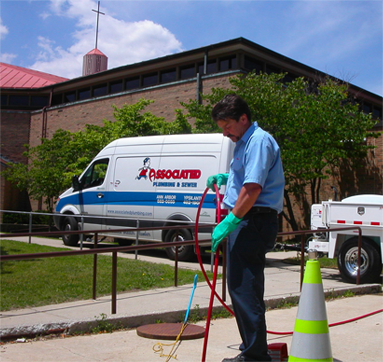 We employ some of the most experienced and skilled drain cleaning specialists near Canton MI. Your drains are the closest link between you and your plumbing system - whether they're in the sink, the floor, toilet or bathroom. A problem with your drain may be a sign of more extensive plumbing damage, and even if it isn't, fixing the drain quickly is key to preventing more extensive problems. Associated Plumbing & Sewer Service, Inc. offers comprehensive drain cleaning for homeowners throughout Canton. Drain problems often start small, and with the aid of Associated Plumbing & Sewer Service, Inc., they will stay small. For more information about drain cleaning and plumbing services in Canton MI visit our website or call today.